How New Caledonia’s export ban hit Chinese Nickel ore market? Indonesia introduced an export ban on nickel ore since early 2014, and now, New Caledonia decided to place a nickel ore export ban to China. How the ban will affect China’s nickel ore market? Last week, foreign media reported the heads of the national and local governments along with mining executives’ vetoed exports of nickel laterites to China because of New Caledonia's long-standing supply agreements with Australia. “The New Caledonia nickel export to China will have a negligible effect as exports of nickel ore from the country are very small,” SMM’s nickel analyst says. China imported 14.57 million ton of nickel ore during the first half of 2015, down 36.87% year-on-year, with 96.79% of imports from the Philippines, and 0.79% from Australia, the second-place supplier, according to China Customs. So far, the country has placed no ban on ferronickel export to China. In June, China imported 62,500 ton of ferronickel, with 10,482 ton of imports from New Caledonia, up nearly 3-folds to rank second, according to China Customs. Will LME Nickel continue to outperform base metal complex? LME nickel overnight closed up 1.05% at $11,580 per ton as other base metals largely finished lower against a strong dollar. Will this continue into the last trading day of the week? “Weak demand and a strong dollar will cap gains in the nickel market, and short bets are advised to be built, with stop-loss order at 84,000 yuan for September delivery nickel on the SHFE,” an analyst told SMM in an interview. Another analyst from Chaos Ternary Futures expected wide trade in nickel market, with prices between 81,000-89,000 yuan per ton. In other news, LME nickel inventories fell to 452, 850 as of Jul. 16, down 630 tons from a day earlier. The same day, Jinchuan Group announced to cut its ex-works prices after raising for second consecutive days. According to the third quarter commodity outlook report released by Deutsche Bank, the nickel market looks poised to improve significantly during second half of the current year. Incidentally, LME Nickel prices had touched six-year low on Tuesday, dropping to sub-$11,000 per mt level. The research note states that the firm is confident on the prospects of nickel market and that it maintains a positive outlook on nickel market, going forward. The Chinese unwrought non-alloyed nickel imports surged higher during the month of May this year, rising 127% year-on-year to 23,146 mt, said most recent data released by the country’s General Administration of Customs. The imports had totaled only 5,613 mt and 18,220 mt during the months of March and April respectively. This indicates that refined nickel import market has more or less returned to normalcy. On the other hand, a portion of these imports are assumed to be from Russia ahead of SHFE approval of Russian nickel deliveries. Sources indicate that Norilsk Nickel has registered three bands- NORILSK COMBINE H-1, SEVERONICKEL COMBINE H-1, and SEVERONICKEL COMBINE H-1Y for physical delivery on the exchange. The sharp rise in ferronickel imports by China during the month of May this year is also considered as a positive trigger for nickel market. The imports of ferronickel surged higher by 247% year-on-year to 61,551 mt. However, the imports were down when matched with the imports of 75,154 mt in April. The cumulative imports during the initial five-month period of the year were up by 110%. Meantime, Shanghai nickel premiums continue to remain at high levels, indicating supply tightness in physical market. The tightening stainless steel scrap availability in Europe is also considered to favor nickel market, as stainless steel market accounts for nearly one-third of the global nickel consumption. According to Deutsche Bank, annual Nickel prices are likely to touch $14,520/mt in 2015. Last year's surplus was 120,000 tonnes. "The Indonesian export ban on nickel ore which took effect in January 2014 is expected to reduce further the nickel pig iron (NPI) production in China despite the increase in nickel ore exports from the Philippines," said the industry body. Nickel pig iron is a low nickel content substitute for refined nickel, commonly used by Chinese stainless steel makers. Global demand for nickel is expected to increase to 1.94 million tonnes in 2015 versus 1.87 million in 2014, according to the INSG, while output is expected to shrink to 1.96 million tonnes versus 1.99 million. "An estimated lower GDP increase in China in line with the government goal to achieve a more sustainable and environmental friendly growth (means) primary nickel usage will continue to grow but at a lower rate than in recent years," said the Lisbon-based group. Supplies of nickel reached glut levels in the past few years with inventories in London Metal Exchange-registered warehouses currently near their highest ever levels at more than 434,000 tonnes, according to LME data. While many expected the nickel price to continue to rise in 2014 on the back of Indonesia’s ban on unprocessed ore exports, it ultimately fell on concerns over rising stockpiles and predictions that the new rules would soften. Overall, global nickel production decreased slightly in 2014 compared to the previous year (2,400,000 tonnes vs. 2,630,000 tonnes). Similarly, the nickel price fell 12 percent in 2014, according to the US Geological Survey (USGS), and market watchers are divided about what’s in store going forward — some say production will ramp up, while others say the nickel market will turn in 2015. Here’s a look at the 10 top nickel-producing countries from 2014, as reported by the USGS. The Philippines saw a slight decrease in its nickel production from 2013, producing 440,000 tonnes. Even so, the country took advantage of Indonesia’s export ban and stepped in to distribute to China. In fact, the country’s nickel exports to China increased 24 percent in the first 10 months of the year, according to Bloomberg. Much of that came from stockpiles, but the Philippines plans on increasing the number of mines it has, hoping to permanently fill the gap left by Indonesia. Russia also saw a drop in production from 2013, putting out 260,000 tonnes of nickel vs. 275,000 tonnes the previous year. While the Indonesian ban threw a wrench in the works for some companies and end users, Russia had its own export barriers to deal with. According to a 2014 article from the CBC, sanctions limited the country’s exports to the US and UK in light of last year’s tensions between Russia and Ukraine. While that didn’t keep the country from producing, it did shift its focus to Asian purchasers. Indonesia experienced a drastic cut in production from last year, with its output dropping from 2013′s 440,000 tonnes to just 240,000 tonnes. Most of that drop was due to the country’s export ban on unprocessed ores, which came into effect in January. With the ban, Indonesia is aiming to reap additional benefits from its natural resources by forcing companies to process ore domestically. However, the move led to thousands of job cuts, and economists have warned that the short-term negative effects of the ban will be extremely costly for Indonesia’s fragile economy. Canada saw mild gains in its nickel production from 2013 to 2014, producing 223,000 tonnes of nickel last year. Like other countries, Canada is looking to the Indonesian ban as a catalyst to increase production, and believes it could benefit not only via output growth, but by also adding jobs to its economy, according to a 2014 report from The Globe and Mail. "We would have the additional jobs around refining and of course the value added inside the economy would be augmented that much more,” said Peter Hall, chief economist with Export Development Canada. 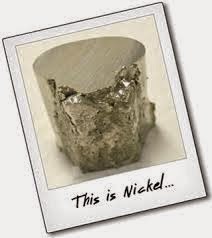 Australia’s nickel production dropped from 234,000 million tonnes in 2013 to 220,000 tonnes in 2014. However, according to a Platts article from 2014, that decline was expected. The country is currently starting new mines in three states and expects to begin boosting output by 2018. "We are one of the leading commercial entities in New Caledonia and deeply involved in the business life of the region,” said Michele Verges, Caltrac’s director general. Brazil also saw a decrease in nickel production in 2014, falling short of 2013′s 138,000 tonnes. However, as MINING.com notes, companies in the country saw record-hitting increases as the year progressed. For example, Vale (NYSE:VALE), which is a global leader in nickel production, saw an increase of 18.7 percent from the previous year in the third quarter. China increased its nickel production in 2014 by roughly 5,000 tonnes compared to its 2013 total. According to Reuters, China is the world’s leading producer of nickel pig iron , which is a low-grade ferronickel used in stainless steel. When the price of nickel ore nearly doubled between February and April, that raised the cost of production for nickel pig iron, as demand for the material stayed low due to overcapacity in China’s stainless steel sector. Colombia’s production stayed relatively constant from 2013 to 2014. However, according to Bloomberg, production could have gone differently had a mining strike gone ahead in the country. The action was a response to workers being angry over extended hours. However, the strike was refused by the union in November and mines continued to operate as normal. Cuba also recorded similar levels of nickel production from 2013 to 2014. According to Reuters, the country cut production at one of its two nickel plants last year to focus on maintenance and capital improvements at the facility. The capitulation on nickel is understandable. Weak stainless steel demand compounded by de-stocking in a traditional restocking period, combined with growing uncertainty over Philippine ore exports have undermined the bull case. Deutsche Bank continues to believe that Chinese nickel pig iron production will decrease as high ore stocks are depleted. However, even if production rates stay higher than anticipated, the current price environment means that 40% of the industry is underwater. Deutsche Bank estimates that the marginal NPI cash cost is c.USD16,000 a ton, which is a more sustainable price in their view, and represents 30% upside from current levels. 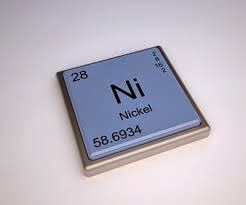 Nickel is the worst performing base metal, down 17% since the beginning of the year. This is in contrast to the other base metals which are down between 1 to 5%, and lead which is up c.3%. Although Chinese demand has been weak across the board, the recent (widely expected) imposition of an import tariff on imported stainless steel by the European Commission has been a further significant drag on nickel. The 25% rate was also higher than expected. Chinese stainless steel production was down 16% year on year for February, and although the production increases in other regions should compensate, the short-term de-stocking is creating volatility in the short-term. Furthermore, Deutsche Bank thinks investors have given up on the bull case in nickel, as Chinese port ore stocks have remained high and LME inventories have yet to show any signs of declining. Nickel futures prices surged after profit-taking by shorts. SHFE 1507 nickel rallied up by 3.54% to close at 96,160 yuan per tonne, and LME, as of 15:07 Beijing time, traded at $12,920 per tonne, up 1.69%. Any further room will be allowed for nickel prices to go up, or nickel prices will track lower again? “SHFE nickel will follow the trend in LME nickel market after just being launched, and will get boosted from a rally in SHFE copper in the short term,” an analyst from COFCO Futures told SMM in an interview. The long-term outlook is also not bad, the analyst added. “I expects nickel prices to keep falling in the coming months, with next key support level around $11,400 per tonne”, Commerzbank’s analyst said. “Investors should be very careful of recent price movements, and supply in China’s domestic spot market now remains sufficient, and the round of gains is just price corrections after earlier losses,” an analyst from Guosen Futures said. 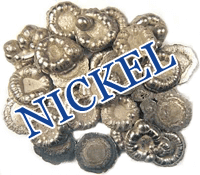 The Japanese Nickel mining major- Sumitomo Metal Mining Co. has predicted that Nickel will end in deficit during 2015, the first time in five years. The demand for the metal will outpace production by 12,000 metric tons during the year. The company predicts notable decline in supply from China. The global output of Nickel had ended in surplus of 36,000 mt during last year. According to Hiroshi Sueta, General Manager, Sales and Raw materials Department, the ore stockpiles in China are most likely to get exhausted by mid-2015. The Chinese Nickel Pig Iron (NPI) output is likely to decline 15% year –on-year to 365,000 tons in 2015. The Chinese NPI production had dropped 4.4% in 2014. After Indonesia imposed ban on exports of processed ore, China had boosted imports from Philippines. In order to meet the excessive demand, the country also had destocked ore inventories in large quantities. Sumitomo further anticipates the global nickel demand growth to slow down to 4% in 2015 from 7.4% in 2014. The sharp fall in oil prices have reduced the intake of the metal by energy producers for use in pipes and tanks. Meantime, the global nickel output is forecast to increase by 1.5% during 2015 to 1.99 million tons. Meantime, LME Nickel for delivery in three months jumped higher by 1.8% to $15,165 per ton on Jan 30th. 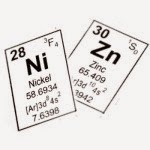 There has been a lot of bullish talk in the metals community about zinc and nickel over the past couple of years, as many insiders believe those commodities are poised for a rally. You can include Clarus Securities analyst Mike Bandrowski in that group. He published a detailed note on Tuesday that suggests zinc and nickel have "imminent" upside and will perform very strongly over the next two years as inventories disappear. In the case of zinc, Mr. Bandrowski noted the market is already in deficit, and that deficit should get bigger following the closures of the Lisheen and Century mines this year. He said exchange inventories have fallen by more than half over the last two years and should be at "critical" levels later in 2015. "We believe the lack of funding in zinc mine development and exploration has now caught up with the marketplace and zinc prices will respond in 2015," he said in a note. "Despite the broad commodity sell-off, zinc has held up quite well, likely an indication of the favourable supply/demand fundamentals." Nickel has received more attention than zinc due to an Indonesian export ban on raw ore that was imposed a year ago, which removed about 25% to 30% of global nickel supply. The nickel price spiked following the ban, but fell back to earth as inventories dramatically increased. Mr. Bandrowski's said the inventory spike was partly due to a well-publicized trading scandal in Qingdao, which created disruptions in Chinese nickel stockpiles. He expects inventories to trend lower in early 2015 as Indonesian stockpiles are exhausted in China, and thinks the market is heading toward deficit this year. "We see a great opportunity for nickel in 2015," he added. Mr. Bandrowski sees the zinc price rising to US$1.10 a pound this year and US$1.25 in 2016, while nickel is expected to jump to US$11 a pound in 2015 and US$12 in 2016. His top picks among the miners in this space include Lundin Mining Corp., Scorpio Mining Corp, Aldridge Minerals Inc. and Royal Nickel Corp. He also highlighted a few names that he doesn't cover: Talon Metals Corp., Sherritt International Corp., Tinka Resources Ltd. and Goldspike Exploration Inc.
After the Indonesian government, had declared the ban on the export of nickel ore, its on he Philippines that the whole demand of China is depended.the news that the Philippines is also planning to follow the path of Indonesia has created a kind of panic alert in the market of nickel. But a temporary relief was bought in, when the government of Indonesia itself declared that, the ban will be only after a few years. After the ban announced by the Indonesian government, due to the decline in the price of the commodity in the market, has actually affected the whole base metal strategy. After Indonesia has put on a ban on the export of the commodity, the Philippines were in charge of the commodity’s distribution. The export ban has mostly affected China and also many other countries, who used to be highly depending on nickel, for the production of stainless steel in the market. The rapid change in fundamentals led to high volatility in Nickel prices in 2014. The volatility is expected to continue in 2015, according to analyst reports. The expectations of an interest rate hike by the US Fed and the feared slowdown in Chinese economy are the major drivers for base metal prices this year. The Nickel prices plunged almost 22% from its peak to close 2014 at $14,935 a tonne. The prices had hit its yearly high of $21,200 a tonne after the imposition of ban on exports by Indonesia. The suspension of production at the Koniambo mines in New Caledonia further support Nickel prices in 2015. According to latest forecast provided by the London-based consultancy Natixis Commodity Markets, the Nickel prices are likely to average nearly $19,000 a tonne in 2015. This is almost 13% higher than the 2014 average price of $16,867 a tonne. Natixis believes that prices may get adequate support due to supply concerns. However, easing of such concerns would lead to drop in nickel prices in 2016. It predicts the average price in 2016 at $17,375 a tonne. Natixis forecasts the average price for copper at $6,335 a tonne, aluminum at $2,071 a tonne, zinc at $2,523 a tonne and lead at $2,145 a tonne for 2015. The metal was languishing at multi-year lows in January but against market expectations Indonesia stuck to its guns and stopped nickel ore from leaving its shores. Reaction was muted at first – unlike LME-watchers Chinese nickel pig iron producers took them at their word and amassed millions of tonnes of nickel laterite. Tensions with Russia and fears about Norilsk added spice and by May nickel scaled $20,000. Ever-volatile St Nick soon disappointed again and will end 2014 with barely a double digit gain as the Philippines take up the slack, inventories stay stubbornly high and old bugbear, China’s economy, drain investor confidence. The Philippines can’t do anything about their grades or their monsoons and China will run out of stocks of the good stuff eventually (as soon as April? ), forcing mills to buy pricier sulphides. Stainless steel growth rates are strong with robust auto sales the US, Europe, and Japan and China’s bumping manufacturing to record 21.4m units. After a decline of 9% in mining output in 2014, another 6% contraction is forecast for 2015 despite an additional 1–2mt from New Caledonia. Everything nickel had going for it in 2014 will only become more evident during 2015. Indonesia – even partially – lifts its ore export ban (don’t worry, won’t happen). The latest report published by the World Bureau of Metal Statistics (WBMS) indicates that global Nickel market has recorded a surplus during the initial ten months of the year. As per the report, the Nickel market ended in excess of 148,000 tons when matched with the surplus of 186,700 reported during entire year 2013. The reported stocks held in the LME at the end of October this year were 124,000 tons higher when compared with the levels during end-2013. 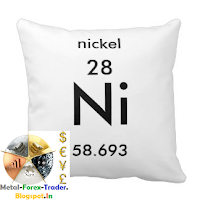 Refined Nickel production from January to October this year totaled 1,593.4 kt. The nickel smelter production during the month of October 2014 alone totaled 167.1 kt, whereas the consumption was 145.1 kt. The WBMS report also states that the Japanese refinery output declined sharply by 2.5 kt when compared with the previous year. Global Nickel mine production declined significantly on account of the export ban in Indonesia. The ten-month production totaled 1,471.7 kt, nearly 27% down when compared with the production of 2,013.7 kt during the comparable period last year. 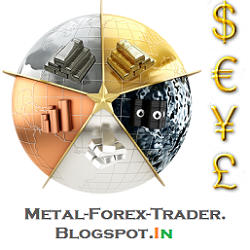 According to World Metal Statistics-December 2014 published on 17th Dec, 2014, the world apparent demand during the first ten months of the year was 30.7 kt lower year-on-year. The demand for refined nickel was 1445.7 kt during Jan-Oct ’14. “Base metals were a ‘bright’ spot in 2014—largely ignored by equity markets and are among our ‘picks’ for investors in 2015,” observed Scotiabank economist Patricia Mohr in the latest edition of the Scotiabank Commodity Price Index published Thursday. “However, a focus by investors on copper, widely expected to edge down in 2015 alongside ongoing mine expansion, seems to have taken the shine away from these metals in the equity markets,” Mohr suggested. “To build shareholder value in a lackluster economy, mining companies will focus on ‘divesting non-core assets’ and ‘spinning-off undervalued operations’ (e.g. Sudbury nickel),” Mohr predicted. Mohr forecasts average prices of $1,267/oz gold, $1.25/lb zinc, $9/lb nickel, $3/lb copper, and $42/lb uranium in 2015. Zinc and nickel are Mohr’s top picks for investors in 2015. “Prices remain resilient at US$0.96 in mid-December (9 US cents higher than a year ago), despite further signs that China’s economy is slowing,” she noted. “This largely reflects the impact of Indonesia’s ban on the export of all ‘unprocessed’ nickel-containing ore on January 12, 2014, in a bid to encourage foreign buyers to update ore in Indonesia,” she said. 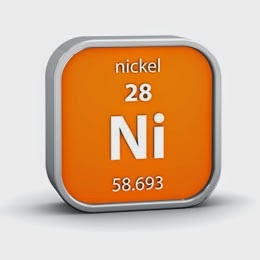 ‘Nickel prices are expected to soar once NPI (Nickel Pig Iron) plants in China have used up their inventory on hand—forcing Chinese stainless steel producers to turn to more costly imports of FeNi and nickel cathode,” Mohr predicted. “The global supply & demand balance for nickel is expected to turn from ‘surplus’ to ‘deficit’ by 2015:Q2, even assuming a slower pace of stainless steel production gains in China (5.5% in 2015, after a 10% gain in 2014),” she suggested. Meanwhile, palladium was the strongest of the precious metals in 2014 with a 12.2% y/y gain as strong demand for catalytic converters for small-engine gasoline-drive cars and supply constraints boosted prices, Mohr noted. Nevertheless, the Scotiabank Commodity Price Metal & Mineral Index posted the worst year-over-year decline of any sub-component in 2014 with the decline centered in ferrous metals, especially iron ore and coal, she advised. What are the factors behind sharp rise in LME Nickel inventories? Inventories in the LME nickel have kept growing, climbing above 400,000 tons recently. The launch of a probe into financial irregularities at China’s Port of Qingdao in June brought nickel inventories at Asia-registered LME warehouses up 94,000 tonnes during June-November, 3-fold higher than the growth of 29,000 tons during January-May, according to SMM data. Hence, the impact from Qingdao’s metal fraud is believed to be one of major reasons behind high LME nickel inventories, prompting a shift from China’s bonded zones to LME Asian warehouses. Nickel inventories also grew at LME European warehouses, meanwhile. From June to November, stocks added 27,000 tonnes, compared with a drop of 5,000 tonnes from January to May. This suggests that waning global consumption, resulting from concurrent economic weakness, is also blamed for continuous increases in LME nickel inventories. 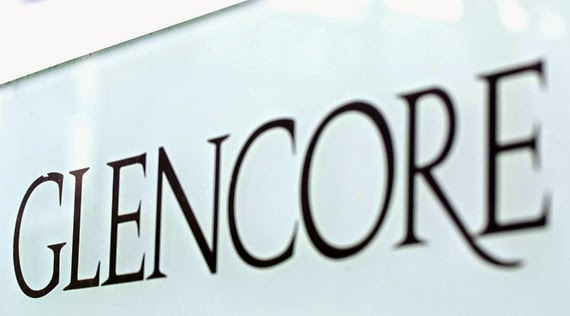 Kenny Ives, the Director of Glencore nickel commodities department, stated that, the global market of nickel will slide down from 20,000 million tonnes surplus, which went throughout the year 2014, to a balanced trading by the year 2015, and then followed by uprising deficit. With the help of a presentation, Ives explained that, if the export ban by Indonesia will remain to be intact, the metal will soon be in deficit,. In the presentation, he directed the annual growth of demand from the year 2014 to 2019, as 4.5 percent, and at the same time the growth of production was shown as 1 percent, during the same period of time. The nickel demand growth will increase every year by 4.5 percent, and by the year 2018, the metal will enter into steady deficit, according to the forecasts. He also added that, the price of nickel has not been steady in the years 2014, as at the beginning of the year, the price lingered around about 13,000 dollars per tonne, and by the month of May, the price of the metal hiked up nearly 50 percent to 21,200 dollars per tonne. And by the month of September, along with the value of other commodities declined down to 18,000 dollars per tonne. The hike in nickel prices was mainly due to the ban imposed by Indonesia, the largest supplier of nickel, on the export of unprocessed ore from the country, which created a sense of anticipation of the decline of the nickel output. Any ways by the end of the year, the Chinese exports, and the export of ore from the Philippines and the macro economic downgrades, led to the decline of the metal. The matter of an increase in the exports of nickel ore from the Philippines is not possible at the point because, the country has kisser resources than Indonesia. The shipments of nickel ore from the company, would certainly decline by the coming months as the monsoon season in the country would prove to be a barrier for the transportation of ore. Incomparable level of demand from China, for nickel ore, has opened up a sizeable market for the Philippines nickel miners, to expand their export of nickel, and also poking the government to look into the underdeveloped mineral industry, and to take required steps in order to maximize the output, during this period of increasing demand. The unpredictable, ban on the export of unprocessed nickel from the world’s largest producer of nickel, Indonesia, had left Philippines to become the provider of nickel in the world, including China, the country which uses a high amount of nickel pig iron for the production of stainless steel. The ban was issued when the government was trying to dig out ways to increase the economic contribution towards the mining sector, which was nearly 1 percent in the GDP, even with the presence of untapped mineral resources. In the year 2013, Philippines was ranked as the biggest producer of nickel along with Indonesia, by the US Geological Survey, and the country is now increasing its output of nickel with great speed and enthusiasm. Marcventures Holdings, a Philippines based nickel miner, announced that the company had received approval from the government to expand the operations in the company’s mines. The Mines and Geoscience Beauro granted the mine with a permit to extract nickel ore from 4,799 hectares site, which Mindanao’s Surigao del Sur province. Since the year 2005, nickel has been destructed as well as declining from the heights, the sudden and intense decline in the value of the metal, has caused massive closure of nickel mines, which in turn lead to large scale unemployment. 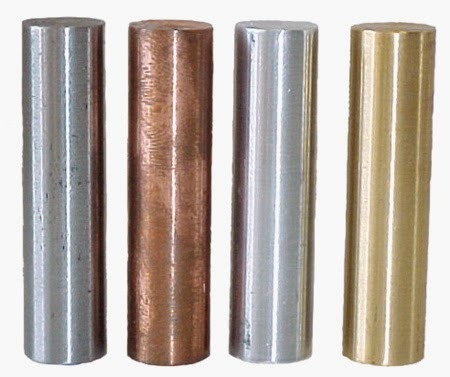 The main reason behind the fall of nickel price was the decline in the demand for stainless steel, and also the growth in the demand for plain steel used in construction. According to the IBIS World, the price of nickel had reached to the highest points of unknown heights after the financial crisis, and also shattered due to the lack of economical development all over the world, in the following years. 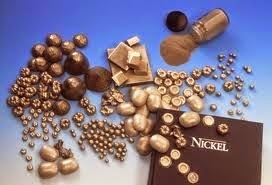 According to the forecasts there are chances that the future of nickel could be better, but best is not an option. In the month of May, this year, the value of nickel reached a two year high, but the condition of the metal has been worsening since then as it soon declined to 25 percent lower. The reason for the hike in the price was the sudden ban of Indonesia, on the export of unprocessed nickel, which increased the price of the metal by 56 percent at that time. But the gain was suddenly turned to decline, when other nickel producers filled the hole created by Indonesia, with the supply of nickel which was more than required.